There’s no doubt that art has helped shape our city. It’s personal, and its definition is broad. It encompasses everything from architecture to fashion, and continues to evolve in ways that we hadn’t previously imagined. Fortunately, you can now add construction hoarding to that definition. What a clever way to make us more mindful of where we are… and that’s a good thing. We all live in a world where there’s almost an assault of our senses – where every blank space around us, (whether it be parking, bicycles, buses and yes, even buildings) compete for our attention to sell something. At Tridel – we often say we don’t like to sell – we like to solve. And art has become part of this solution — it transforms something from being purely functional and protective to something beautiful. As builders, we know that good design doesn’t only consider how something functions but also how it inspires people. And we know that a simple and universal way to do that, is through art. It allows us to give something back to our city. And while we work over the years to deliver something that we know at the end of the day will be beautiful, we also know that it goes through a bit of an awkward stage, to get there. Art can grant you some forgiveness during that time. Last week, I had the opportunity to speak at the FORM-OCAD Community Art Unveiling Celebration. 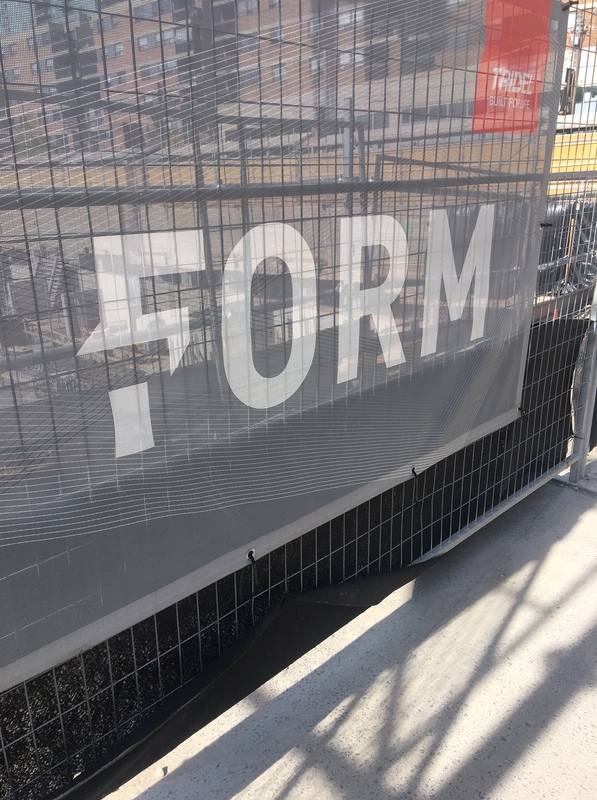 The exhibit is meant to showcase the work of OCAD U students and alumni in a street gallery hosted on the future site of FORM condominium. The event had a great response of over 120 applicants, of which 14 artists and designers, were selected by an independent interdisciplinary committee of OCAD U faculty. This new installment is a great testament to art being a catalyst for community and economic development. 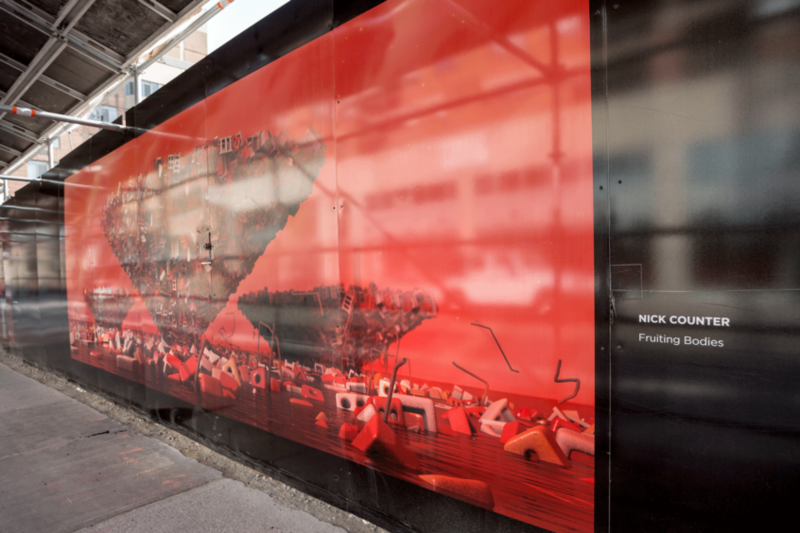 It’s also a tool for social engagement – just think how public art can spark dialogue between two people passing by, or even a quiet, internal one among yourself. This partnership with Patch, Steps, RBC and OCAD also serves as a great example of collaboration as innovation. The art is MAGNIFICENT in itself – and is a preview to the “masterpiece” that we rae committed to building. If we do our job well as builders, we can have a positive impact on everybody that we engage with. And that’s not just the people who live in our homes, it’s our neighbours and it’s the people that pass by our communities every day. That’s part of my professional responsibility. But I also have a personal one. As a mother of three young boys, part of my job is to expose them to culture and art. You can just imagine the warm welcome and watchful eyes we receive when they see three testosterone filled pre- teens running toward the doors of a museum. For that reason alone, I can’t tell you how appreciative I am to have a city that can bring art to them, in a relaxed, urban environment, both informally and spontaneously. That’s one of the things I love about public art –you don’t have to look for it – it meets you where you happen to be, and it’s free. It’s amazing to live in a city that believes in and supports this type of initiative. 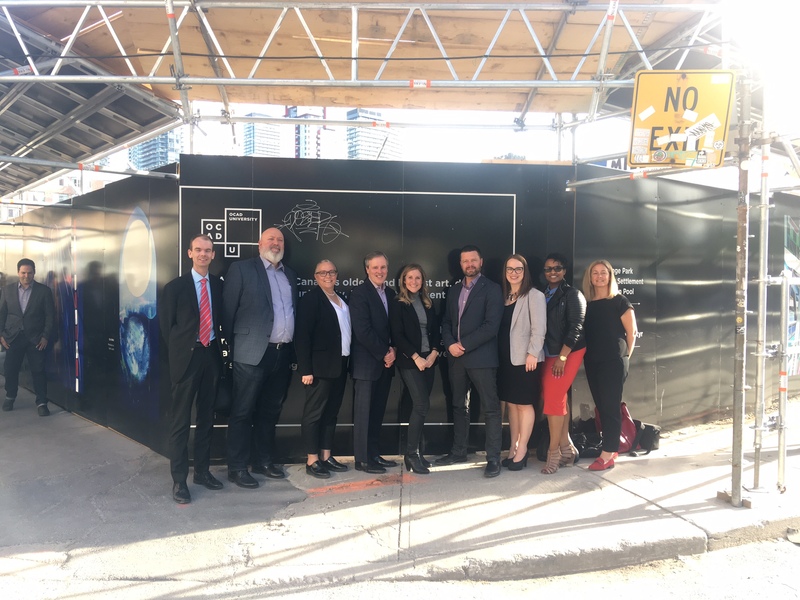 We’re fortunate to have artists, developers and City Councillors (it was actually Councillor Kristyn WongTam that came up with the concept) working together to enrich our spaces. Together, we’re making sure that our shared city will remain our favourite city. Excellent expression for the people of the city to enjoy !